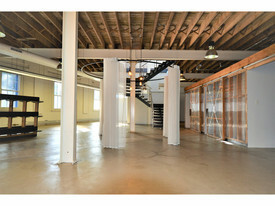 37 Commercial Real Estate & Properties in Glebe are listed in 4 categories. We have 18 OfficesSale & Lease , 14 Retail ShopsSale & Lease , 4 Other Commercial PropertiesSale & Lease and 1 Development LandsSale & Lease . Located directly across from Sydney Fish Markets and overlooking the water. 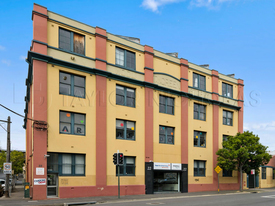 Located approximately 2km west of the Sydney CBD and approximately 6km north of the airport. The property has excellent access to Sydney's orbital road network which includes the City West Link, Anzac Bridge and M5. The premises have access direct via stairs from Bridge Road. Open plan space with exposed timber beams and high Saw Tooth roof with skylights allowing good natural light. Main Features include: Timber Floors throughout Up to 6 car spaces available at additional cost Showers and Male / Female Amenities Air conditioning Existing fit out could be used as boardroom, executive rooms, training rooms etc. 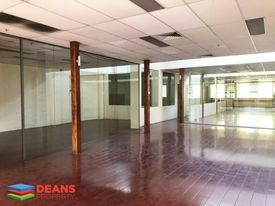 Suits a creative office user or Pilates/Yoga Studio (existing use) or an education user (subject to council approval) Signage from the Light Rail For any further questions or if you wish to arrange an inspection please feel free to contact Deans Property today! This property is a fantastic opportunity for cafe, restaurant and any food retail. 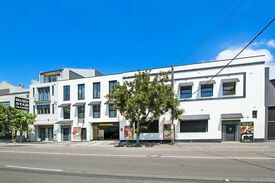 This property is located on the well known Glebe Point Road in Glebe. The property is seconds away from Sydney University and Broadway. 190sqm approx. Grease Trap and Exhaust In Place Surrounded by thriving food, fashion and beauty operators Affordable Rent Exceptional Fit out Huge Exposure WILL NOT BE ON THE MARKET FOR MUCH LONGER! Deals like this don't come around too often and this will go quickly, so contact me without delay to coordinate an inspection. Construction has commenced on this impressive building which will undergo a complete refurbishment as creative offices, with architecture and design by Buchan Architects. The owner is ideally seeking tenants to share their vision for the adaptive reuse of this unique asset. Original features to be highlighted will include hardwood floors, high cathedral ceilings (option 1), herringbone strutting and exposed brickwork. Featuring large 1,077 1,086m2 floorplates, with the possible option of one new level at 704m2 with a rooftop balcony (STCA). All new services including air conditioning, lifts, amenities, interconnecting stairs and a grand lobby. Features: Well positioned in the heart of the Broadway/Ultimo/Glebe golden triangle Raw creative refurbishment with your specification in mind Original features (circa 1915) to be highlighted including ironbark columns, hardwood floors, herringbone strutting and exposed brickwork New male and female amenities with end of trip facilities, plus bike storage and provision for cafe lobby Available Q1 2019 (Opt.1 ) or Q3 2019 (Opt.2) Naming rights large vertical wall sign Option 1: Refurbishment of the existing 4 level premises (NLA 3,401m2); or Option 2: Over 5 levels, with the one additional lightweight levels on top (NLA 4,105m2 STCA) NABERS to be confirmed upon completion of the project.